Chicago, on Lake Michigan, Illinois, is the third largest city in the USA and is known as the Windy City. However with its towering skyscrapers and vibrant culture, it’s hard not to fall in love with even the wind here. This burgeoning hotspot for tech businesses is also an aspiring place to be for entrepreneurs. Not only does Chicago have a booming population, it is also home to a thriving manufacturing industry and what better location that in the heart of the country. There are two main airports in Chicago: O’Hare International Airport and Midway International Airport. Chicago Transit Authority trains run 24/7. The Blue Line ‘L’ train takes you from O’Hare to the Chicago city centre in about 45 minutes. You can also grab a taxi, hire a limo or rent a car. McCormick Place - the self-styled premier convention facility in North America. 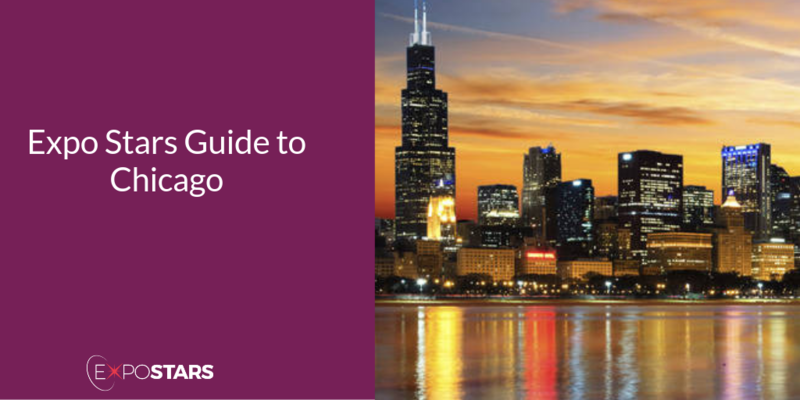 Located just minutes from downtown Chicago, McCormick Place attracts close to 3 million visitors each year. Buckingham Fountain - located in Grant Park, the Beaux Arts-style Buckingham Fountain was designed by architect Edward Bennett after the Latona Fountain at Versailles. Chicago Water Tower - One of the few surviving structures of the infamous Great Chicago Fire, the Chicago Water Tower is a symbol of the city’s resilience. Monteverde in the West Loop serves some of the best Italian food in the city. Au Cheval in the West Loop has the best burger in Chicago.